Gerald Bond explores the rise of a new secular identity that took place in French elite culture at the turn of the twelfth century. While the period is widely recognized as pivotal, and much revisionary work has been done on it, Bond notes that in order to see the changes in the conception of the private secular self the focus must be shifted away from epics and saints' lives, the traditional targets of literary inquiry, to lyric, letters, and marginal texts and images. Such texts and images can be found at regional courts reasonably independent of the weak and limited monarchy and at schools far removed from the traditional Christian curriculum, where a new and distinctly secular group contested inherited values of class, gender, and person and created distinct patterns and codes of dress, behavior, talk, and pleasure. 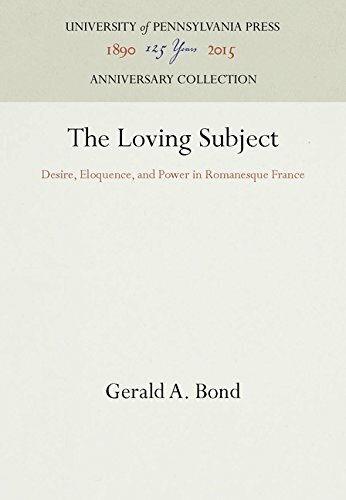 Translating and using sources that for the most part have never been explored, Bond examines the Bayeux Tapestry and such figures as Marbod of Rennes, Baudri of Bourgueil, William of Poitiers, and Adela of Blois to frame a complex view of the contested reconception of the secular self and its value. About: Gerald Bond explores the rise of a new secular identity that took place in French elite culture at the turn of the twelfth century.